This study, financed by the European Commission, was carried out by AND International. The conclusions, recommendations and opinions presented in this report reflect the opinion of the consultant and do not necessarily reflect the opinion of the Commission. A “geographical indication” (GI) is the name of a product where a given quality, reputation or other characteristic of the good is essentially attributable to its geographical origin. It is a type of intellectual property right that can apply in the EU to different types of products. Wines (1): started in the 1970s as part of the common market organisation (CMO) of wine, the system was amended in 2008 in the context of the wine reform, to adopt the principles of legislation on agricultural products and foodstuffs. Spirits (2): an EU system was also created in 2008 following reform of the rules on definition, description, presentation, labelling and protection of geographical indications of spirit drinks. Prior to this, names were listed and protected in the spirit drinks legislation. Agricultural products and foodstuffs (3): a harmonised regulatory framework for GI registration in the EU was created in 1992. The system has been modified recently (see section below “What has changed with the new Quality Regulation?”). 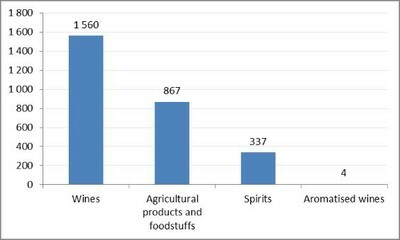 Aromatized wine products (4): A new harmonised regulatory framework is currently under discussion. 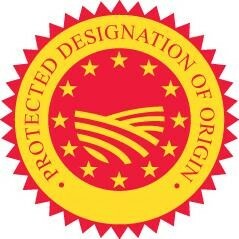 Protected Designation of Origin (PDO): The name of a product that is produced, processed and prepared in a defined geographical area using recognized know-how. Products owe their characteristics exclusively or essentially to their place of production and the savoir faire of local producers. Protected Geographical indication (PGI): Product whose reputation or characteristics is closely linked to production in the geographical area. For PGI agricultural products and foodstuffs, at least one of the stages of production, processing or preparation takes place in the area. For PGI wines, at least 85% of the grapes come from the area. Which are the benefits of GIs? How many names are registered? The study took in account the 2768 EU names that were registered as GI on the 1st of January 2010.